Hey guyz. Hope you all are doing great. I am loving the last 2 months of 2018 and intend to make the most out of them. The weather is getting a tad colder and there’s a definite festive spirit around. The tricky part is to get your outfits right each time. 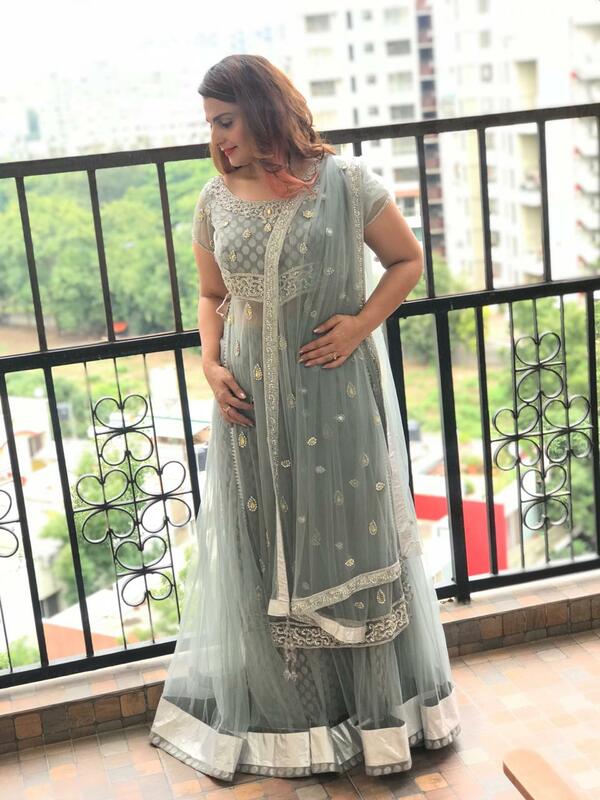 Since Diwali is still away I thought I would do some pre festive looks, which could give you some ideas to put together for your occasions. The second half of the year is brimming with occasions – be it the auspicious beginning of festivals or weddings. I know I attend so many events in the second half of the year, almost a struggle. Nah I love going festive. Also, it is the one time in the year, that people forget their grudges and come together to celebrate joy and happiness with each other. I have been shooting a lot last few months, and have enjoyed wearing all other outfits from different designers. A big thank you to them for lending them to me to create the desired looks. Sharing some pics with you, hope you like them. 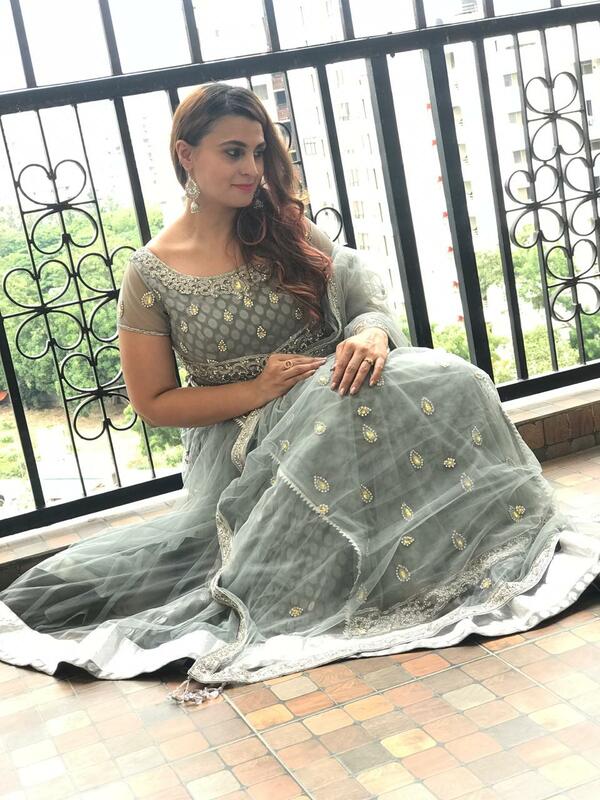 Look 1 – I chose a dust grey lehenga in net with silver work all over. 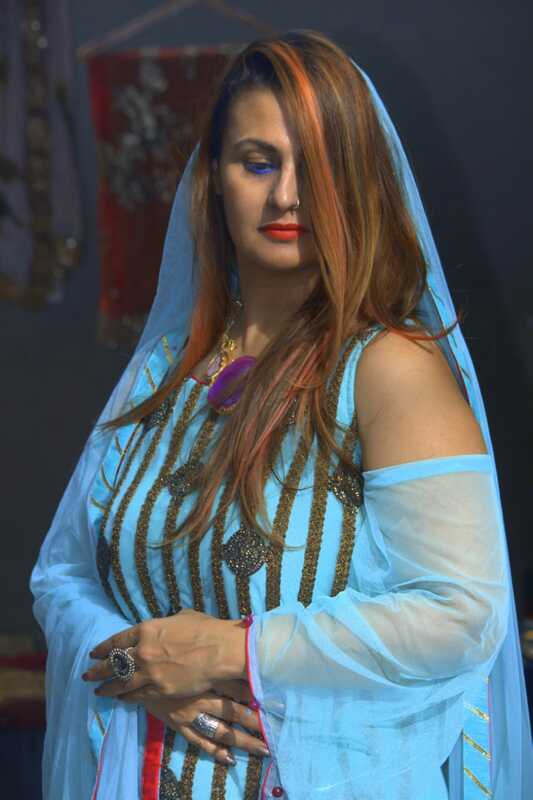 A long sheer top with gorgeous detailing on the bust, it would like a charm for a sangeet or an engagement ceremony. Since the top had a lot of work, I left my neck bare and wore silver jhumkas to complete my look. Look 2 – A maroon sharara and a beige flared sleeves off shoulder top is a complete dreamy outfit. 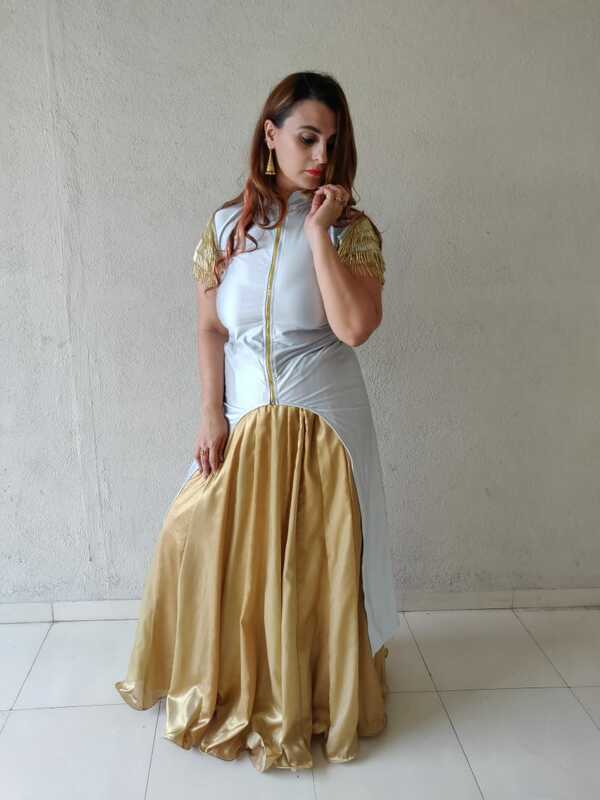 The top has gold detailing on one side which accentuates the entire look of the outfit. 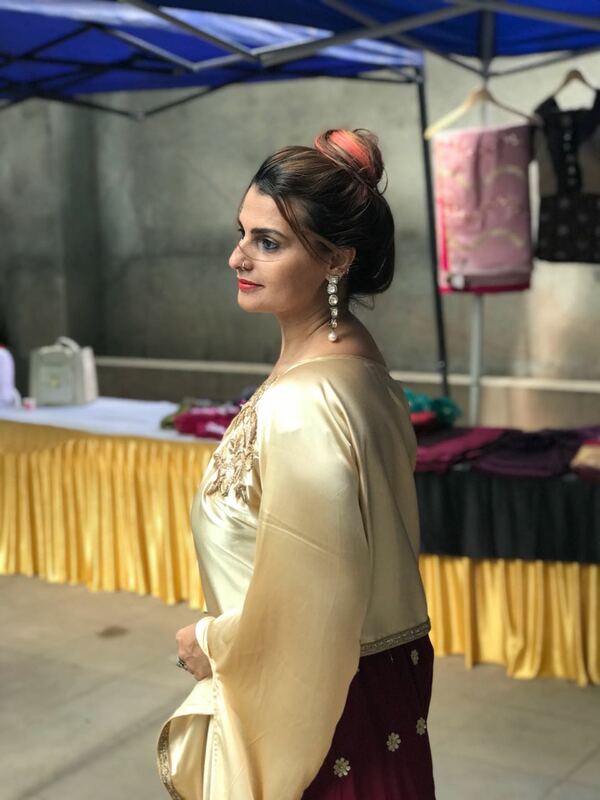 I wore kundan drop earrings and put my hair in a top knot to create a chic understated look. Look 3 – I went a bit bold as I decided to cover my head to give the next look a very glam vintage look. Its a net off shoulder suit with a lot of intricate antique work all over. 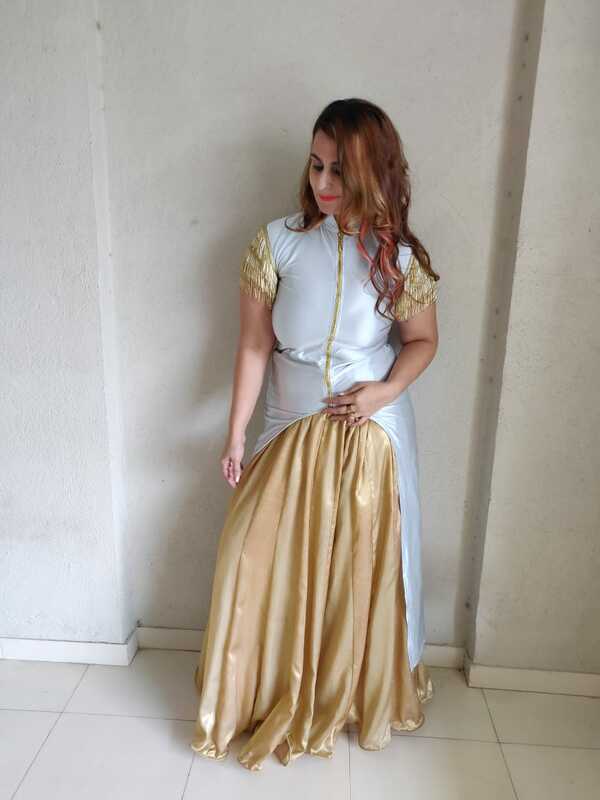 Look 4 – Powder blue satin front open top paired with a flared gold skirt was an easy breezy outfit but looked so gorgeous when paired together. The top has a front zipper and gold tassels hanging on the sleeves, which gives the outfit a nice edgy look while keeping it feminine. Let me know how you liked these looks. And wish you all Happy Festivities ahead. Previous Post Hey Mickey Hey Mickey!